I am available to play for most events. 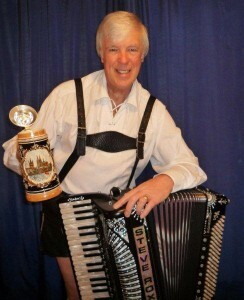 I can also provide entertainment for a variety of themed nights. Please use the contact form below or email steve@steveroxton.co.uk to discuss your requirements. 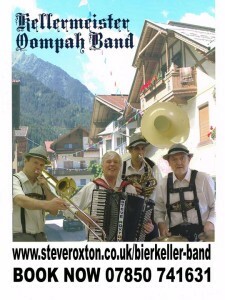 For a riotous evening Steve can add several other musicians all experienced in the bierkeller scene. It’s party atmosphere all the way and so authentic you would swear you were in Bavaria. Listen to a live sample of the band playing In Munchen Steht followed by Breudeline drinking song. There’s no let up in the 2 x 45 minute sets the guys do It’s all high powered fun. Audience participation is a central feature of the show and the night always culminates in a Land of Hope & Glory finish. Find us on youtube in a sample of the show at Durham University’s end of term bash. 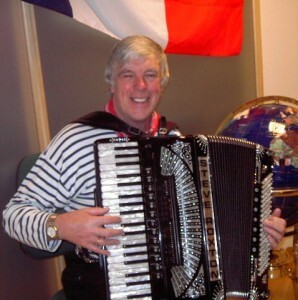 With many appearances in France for “bal musette” and French variety shows, Steve has earned a reputation as a top French musette player. In 2001 he entertained over 1500 French spectators in Avranches, Normandy eagerly awaiting the arrival of the leaders in the “Tour de France” cycle race. The event was televised throughout Europe. St Patrick’s night is always a busy time for Steve. With an action packed programme of Irish ballads, Reels Jigs and humourous songs, your Paddy’s night event is in very capable hands. 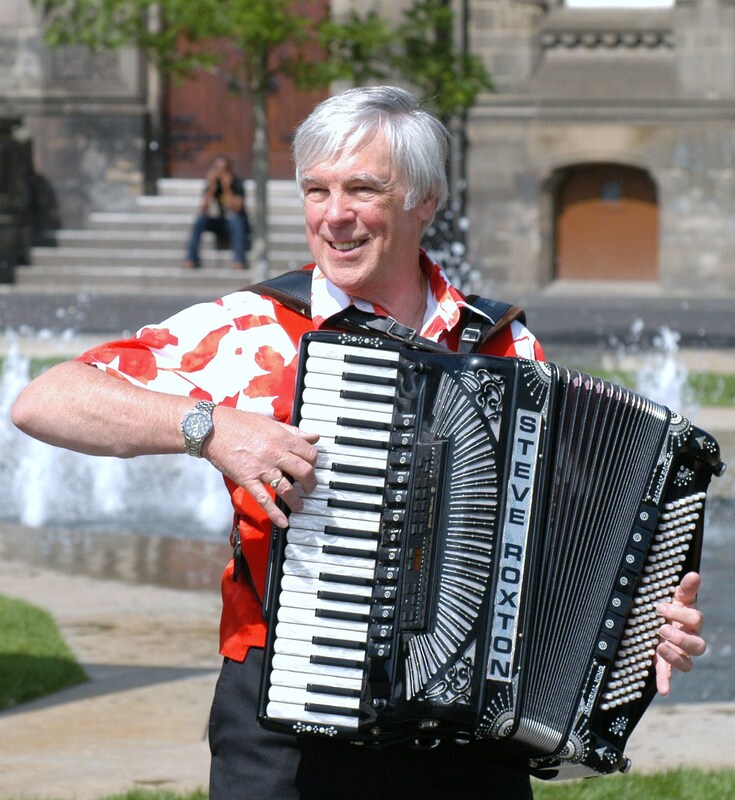 As a former band leader in the “Star Ballroom Band” in Preston he has a wealth of the right music and a touch of the “Blarney” to go with it. He now heads “The Shamrox Trio” to make your Irish nights go with a swing. Make your wedding special with continental music to entertain your guests during the champagne reception. Strolling accordion playing a variety of light music and music from many countries including Italian, French, German, Scottish, Swedish, Irish and Russian. No event too small! e-mail Steve via the link below for a quote.